On Monday, 30th November, Greythorn Primary School will be working with Asda Superstore, Loughborough Road, on a theatrical publicity stunt to raise important funds for additional school reading materials. 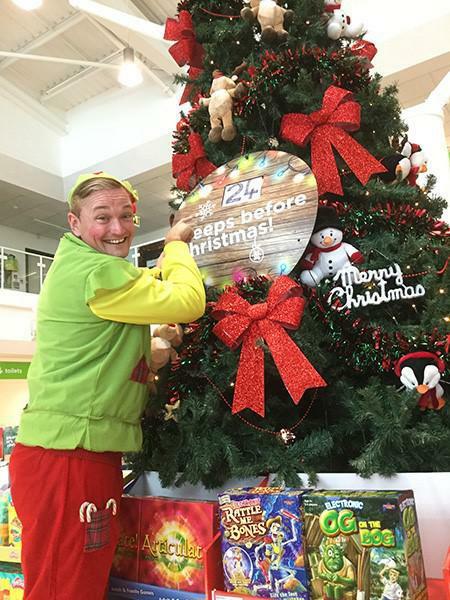 At 12.30pm, a group of Charles Dickens characters (Scrooge, Fagin and his gang) will ‘capture’ one of Santa’s elves from Asda supermarket on Loughborough Road, where he will be showing all of Nottinghamshire’s Asda community helpers how to put the sparkle into Christmas. The elf will be brought to our school library, where he will help the children with their reading throughout the afternoon and the following morning. We are asking children, parents and the wider community to lend their support by giving whatever they can to the fund-raising campaign. We are looking to raise an additional £500, which will be used to renew books throughout the school in every year group. If we meet the target, Scrooge and Fagin will return the elf to Lapland to help Santa complete his Christmas preparations. The publicity stunt has been organised between FOGSA and the national PR team at Asda head office. The supermarket chain has leant its full support to our school campaign. Not only have they dedicated one of their cash-collection boxes and second-hand book proceeds in store to the School Library fund but they have been out and about promoting the cause during the course of their volunteering activities. The national PR team will be following the story closely and helping out with wider publicity wherever they can. FOGSA and the elf will be collecting loose change in the school playground on Tuesday, December 1st to aid the elf’s return to Lapland. If you would like to lend your support, please spread the word among friends and family, encouraging them to give generously over the next two weeks at the cash collection box. Donations can also be handed in at the school office. We would love to give our children access to the best literature available, to inspire their love for reading, writing and story-telling. We’ve come up with a way to raise funds that enlists the help of two of Charles Dicken’s best-loved characters and the Christmas story children love most of all. You will be able to follow The Elf’s story on Twitter #becauseitschristmas and at our school Twitter page, @greythornPS. Thank you in advance for your continued support of the school’s efforts.